Giggle is a great resource for insuring that you cultivate a ‘healthy, happy, baby’. Honestly, I am not sure what my husband and I would have done without their user-friendly online gift registry when we were expecting our twins last fall. With products and tips that are design savvy and eco-minded, their well-edited offerings make streamline shopping and nursery planning a breeze. 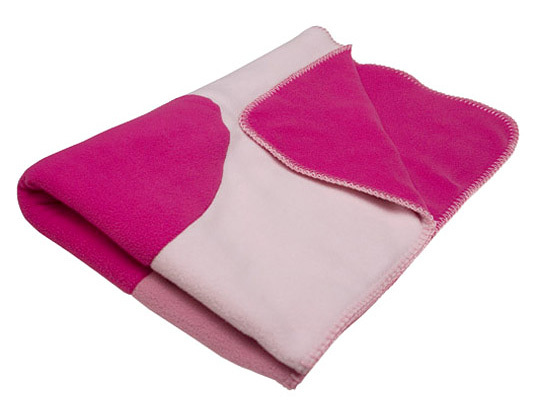 With all of this goodness in store, it was great to discover that Giggle is currently offering a “Think Pink” recycled fleece blanket to highlight National Breast Cancer Awareness Month. I could think of no better way to promote the importance of this October campaign while also keeping dear family members comforted in such stylish layering. 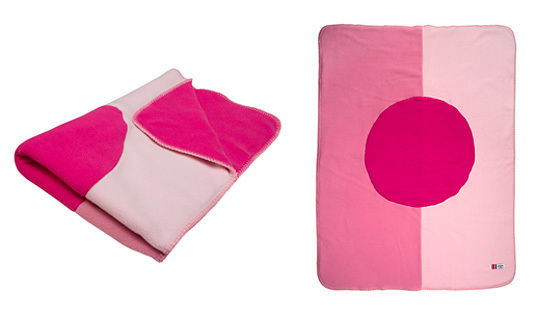 The “Think Pink” Fleece Blanket from Giggle is an exclusive design and offer with 10% of sales proceeds being donated to the Young Survival Coalition (YSC). The statistics for breast cancer are truly alarming. More than 250,000 women under 40 years of age in the U.S. alone have breast cancer, and over 11,100 young women will be diagnosed with the disease in the next year. As YSC’s website states, breast cancer is the leading cause of cancer death in women ages 15 to 54. The time to act is now, and we strongly support companies that are coupling smart product research and design, with donations from sales. Add to this the mission to be more environmentally responsible (we all know, the state of the environment plays a crucial role in insuring long-term health), and we feel that a useful product that makes you ‘think’ is one worth having. Double layered and made of out recycled soda pop bottles, the “Think Pink” Fleece Blanket is super stylish with its bold single dot pattern – a great accent piece for home interiors or playrooms. Eco-friendly and woman-inspired, we love that pink like this is both contemporary and future-forward in hue and attitude.